Hello Firefox 57! Yep I’ve made the switch from Google Chrome back to Firefox. I’ve wanted to make the switch for a while and Mozilla’s latest release, Firefox Quantum, provided the motivation. Fast (really fast, like 2x as fast as their last version), light, extensible, standards compliant, portable, cross platform, open source and… free. 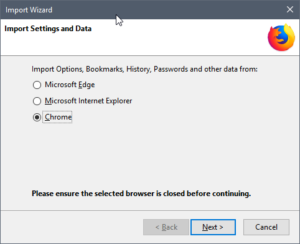 Issue: Tired of Chrome, IE or Edge and looking for a change? Maybe don’t like all your personal data stored in the Google bank? 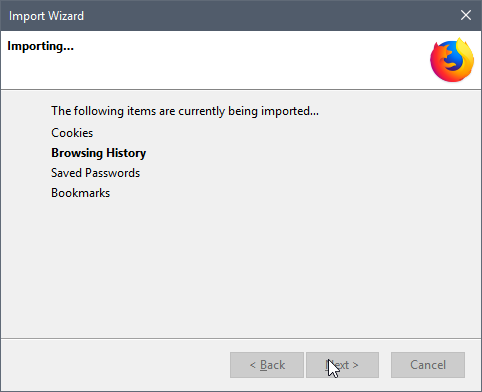 Solution: The following steps took aprox 7 minutes start to finish – ending with the same open tabs, saved passwords, bookmarks, history I was just browsing minutes ago… check please! 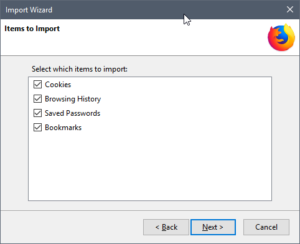 Install Firefox – just click next! 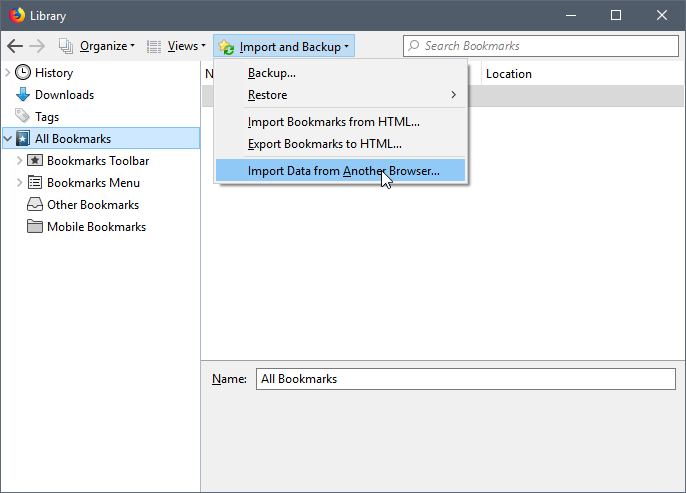 Click the library icon , then click Bookmarks.